Dental emergencies can happen to anyone at any time and require immediate treatment to keep your smile at its best. If your child’s suffered a dental injury such as cracks or fractures, our capable team at Eastern Dental schedules them in as soon as possible to address the damage. Our Grand Rapids emergency pediatric dentist David A. Boone, DDS relieves discomfort through his gentle and effective approach. For the health of your child’s smile, it is best not to ignore dental emergencies. Contact our office immediately at (616) 974-0991. Minor chips to teeth can likely be resolved during a regular appointment, but it is important to schedule an office visit as soon as you can. If one of your child’s permanent teeth ever becomes dislodged, do not let it dry out. Keep the tooth in its socket in saliva, a glass of milk, or if there is nothing else available, in a glass of water. This can give your child’s tooth a better chance to be reinserted without complications. Minor chips, cracks, and fractures are often disregarded and are not considered an immediate dental concern, though these injuries such can allow bacteria to enter the tooth, causing an infection. To maintain the health of your child’s smile, we apply dental fillings and prevent the spread of bacteria. Dr. Boone and his staff provide restorations to young patients who have major decay or trauma to a tooth. 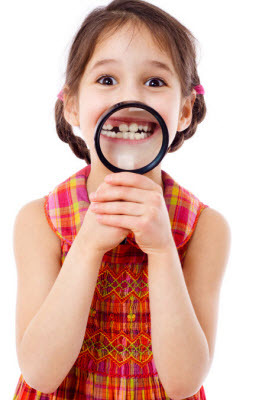 We believe in conservation, so before recommending any services or extractions, we examine your child’s tooth to ensure the treatment we state is necessary. If your child is ever experiencing a dental emergency, contact our Grand Rapids practice immediately to be seen by our dentist, Dr. Boone. He wants to help young patients maintain their oral health and smile with comfort!